This topic contains 2 replies, has 2 voices, and was last updated by admin 1 year ago. 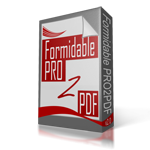 I would need someone to map the pdfs with the forms using formidablepro2pdf. I used to have this fiverr contact: formpro2pdf. But now he’s on vacation and I can not get anyone to do it. Now, I’ll need 51 forms, but in 2 weeks I’ll need 51 more. Yes, the fiverr contact is here. Complete this form to have an offer sent to you.